Eager Apple fans waiting for their iPhone 5s deliveries can now look forward to a relatively specific window, as Apple's online store now shows shipping times of two to three weeks. The iPhone 5s and 5c debuted to record-breaking sales of more than nine million units sold during the launch weekend. The higher-end 5s quickly sold out, though, with the online Apple store showing ship dates pushed to "October" less than two days after it became available. 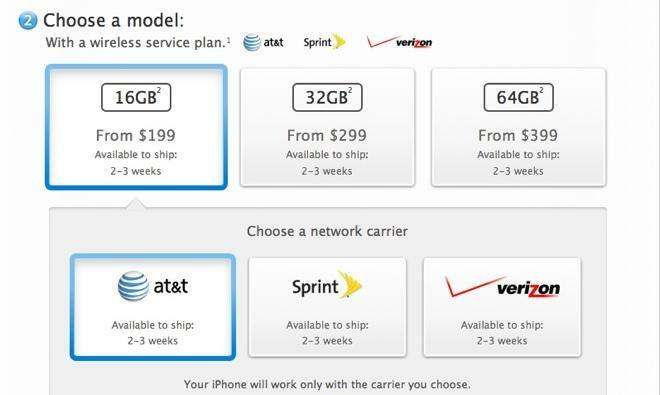 Now, though, Apple's iPhone 5s page shows that 16GB, 32GB, and 64GB units are available to ship within two to three weeks for both carrier-locked units and unlocked units. The ship times appear to apply to all color variants of the hot-selling device, including the highly popular gold variant, which was the first to see its delivery times slip. That unit, though, is still unavailable for in-store pickup. Unlocked units are also unavailable for in-store pickup. Apple seemed to telegraph that the 5s would be available in limited quantities when it did not announce a pre-order period for the device at its unveiling. Analysts and observers noted prior to the device's debut that supplies could be tight, citing difficulties in mass-producing the Touch ID biometric sensor Apple built into the 5s. While the new ship times mark some improvement in 5s supply, questions remain regarding the overall availability of the new high-end iPhone. In a note provided to AppleInsider, industry analyst Gene Munster claimed that supply is declining in the United States. Munster pointed to the impending launch of the handset in 51 new international markets on November 1 as a possible reason for the constraints. The mid-range iPhone 5c, however, remains well-stocked both in physical Apple Stores and online. An examination of the polycarbonate-backed iPhone's page revealed that virtually all configurations are available to ship within 24 hours or for in-store pickup.